The American composer George Rochberg produced important works in several distinct styles, both tonal and atonal. George Rochberg was born in Paterson, New Jersey, on July 5, 1918. He began studies in composition and counterpoint with Weisse, Szell, and Mannes at the Mannes School in 1939, after receiving a B.A. from Montclair State Teachers College. For a time in the 1930s he wrote popular songs under a pseudonym. In 1942 he interrupted his studies at Mannes for three years of military duty as a second lieutenant in the infantry. He was wounded in action. Resuming his education upon his return, he received degrees from the Curtis Institute (B.M., 1947), where he studied with Scalero and Menotti, and from the University of Pennsylvania (M.A., 1948). Rochberg taught harmony, counterpoint, and form and analysis at Curtis from 1948 to 1954 and served first as editor and then as director of publications for the Theodore Presser Company from 1951 to 1960. In 1960 he accepted a post as chairman of the music department at the University of Pennsylvania. He resigned the chairmanship in 1968 to remain in the department in the 1980s as Annenberg Professor of Humanities. He also held several guest appointments, including those at the Temple Institute of Music (1969), the Oberlin Festival of Contemporary Music (1970), Testimonium, Jerusalem (1970-1971), and the Aspen Conference on Contemporary Music (1972). He retired from his position at the University of Pennsylvania in 1983. Rochberg's music falls into three distinct style periods, each major stylistic change being a response to a personal or social issue, rather than to a purely musical one. His first mature works reflect the influence of Bartok, Hindemith, and Stravinsky, but several of these works have either been considerably revised or withdrawn. Perhaps the best-known composition remaining in its original form is the Bartokian First String Quartet (1952). The first major change in Rochberg's style resulted from his conversion to the principles of serialism after the war. Of this event, he wrote: "The war years were much more than an interruption of my musical studies… . The war shaped my psyche and precipitated my internal development. I came to grips with my own time. I came to the necessity of the twelve-tone method independently of the few other American composers who turned to it after the war." A meeting with Dallapiccola while in Italy on Fulbright and American Academy fellowships in 1950 strongly reinforced Rochberg's decision to pursue the serial method. He produced his first works in that idiom, the Twelve Bagatelles for piano, in 1952. These pieces, with their Schoenberg-like concentration and intensity, have remained among his most frequently played. He orchestrated them in 1964 and retitled the set Zodiac. Rochberg continued in this Schoenbergian vein until 1956 and produced other major works, including the Chamber Symphony (1953), David the Psalmist for tenor and orchestra (1954), the Duo Concertante for violin and cello (1955), the Second Symphony (1955-1956), and the Sonata-fantasia for piano (1956). In adapting the serial method to suit his own compositional needs, Rochberg arrived at a means of organizing the harmonic material by hexachords. His important theoretical treatise, The Hexachord and Its Relation to the Twelve-Tone Row, codifies these principles. The serial works of the later 1950s and early 1960s, including the Cheltenham Concerto for small orchestra (1958), the Second String Quartet (with soprano, on a text by Rilke, 1959-1961), Time Span for orchestra (1962), and the Blake Songs for soprano and eight instruments (1961), all display the finely-detailed expressivity of Webern. A fundamental change in the significance of musical duration also marked this phase of serial writing. What Rochberg referred to as "spatial music" replaced the concept of "becoming," achieved through development and final arrival at some musical objective in metered time, with that of "being," achieved through the initial statement of a completed idea in superimposed and changing meters and tempos. His extra-musical objective in this period was "to project the permanence of the world as cosmos, the cosmos as the eternal present." The untimely death of his son in 1964 due to a brain tumor, marked the end of serial composition, which had proven "hollow … meaningless" for the expression of his grief. He grew increasingly discontent with modern music's self-conscious attempts to break from the past and with the idea of originality, in which the "personal style of the artist and his ego are the supreme values." As a means of realigning himself with what he felt to be the historical continuum, Rochberg resumed experiments with quotation. When he first borrowed this device from Charles Ives to quote a short segment of Schoenberg's Op. 23 No. 1 piano piece in his own Sonata-fantasia he was unaware that other composers were moving in similar directions. His first major effort in quotation, Contra Mortem et Tempus for flute, clarinet, piano, and violin (1965), utilizes material from Boulez, Berio, Vare‧se, Berg, Ives, and Rochberg himself. However, most of these excerpts are not readily identifiable because, except for the Ives, they are divested of their original rhythms and because they are all modern pieces and well-integrated by Rochberg into his own style. Later compositions would include quotations from earlier composers in more recognizable statements; Music for the Magic Theater for 15 instruments (1965) incorporates the music of Mozart and the third symphony, J.S. Bach and Heinrich Schutz. In carrying this return to tonality to its logical conclusion, Rochberg has written several pastiche works, often in styles of 19th-century Austrian or German masters. His Third String Quartet (1972) contains stylistic references to Beethoven, Brahms, Mahler, and Barto³k. The three Concord Quartets (1978) contain similar references plus quotations. Later still, his opera The Confidence Man (based on the Melville novel, 1982), Between Two Worlds for flute and piano (1983), and the Oboe Concerto (1983) rely less on other composers and are increasingly chromatic and angular. Although he embraced a wide range of current means of expression, Rochberg resisted several others, again for humanistic reasons. He rejected the post-Webern aesthetic of total-serialism, saying that "music is not engineering, and I stick fast to my conviction that music retains a deep connection with existence as we feel, rather than think it." He responded to aleatoricism with "an unshakable aversion to any type of art that ignores the human situation by avoiding responsible choice." He remained committed to acoustically produced sound, as he found electronic music lacking in passion. And he relied little on the new sounds being extracted from traditional instruments, with the exception of now-common devices such as flutter-tonguing or playing directly on the strings of a piano. Recognition of his work came early and continued without interruption, resulting in many prestigious awards, grants, and commissions. Among these were: The George Gershwin Memorial Award (1952) for Night Music; the Society for the Publication of American Music Award for the Bartokian First String Quartet (1952); a Koussevitzky Foundation commission (1956) for Dialogues; Guggenheim fellowships (1957, 1966); the Naumberg Recording Award (1961) for the second symphony; a National Institute of Arts and Letters grant (1962); a Lincoln Center Performing Arts commission (1966) for Black Sounds; a National Endowment for the Arts commission (1974) for the violin concerto; the Kennedy Center Friedheim Award (1979) for the fourth string quartet; a Chamber Music Society of Lincoln Center commission (1980) for the Octet; and the Brandeis Creative Arts Award (1985). 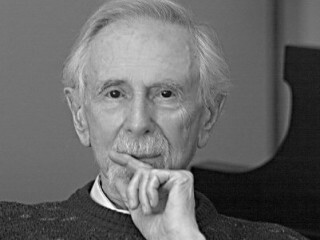 Rochberg was elected into the American Academy and Institute of Arts and Letters in 1985. A television documentary was filmed of Rochberg in 1983 entitled "George Rochberg and His Music." View the full website biography of George Rochberg.